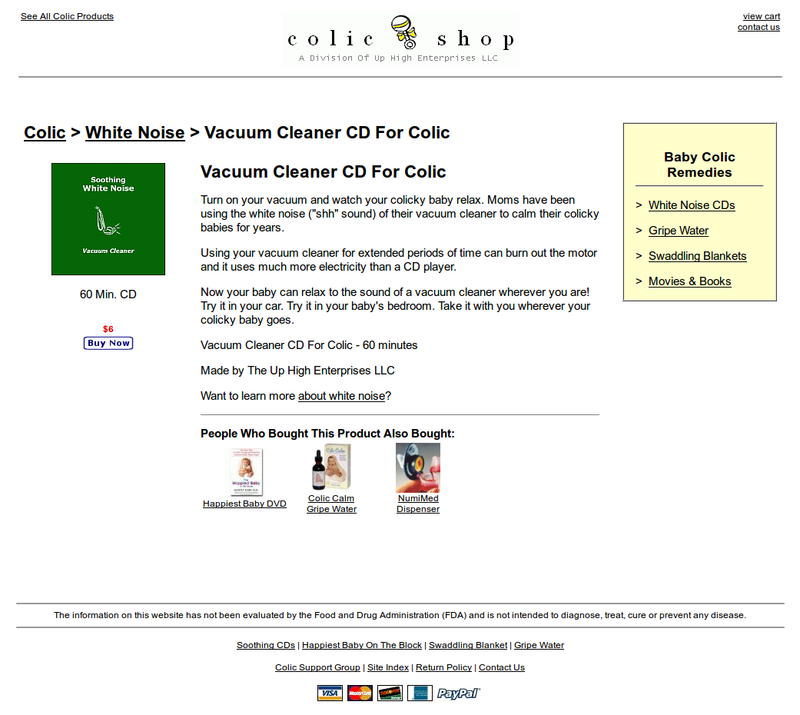 The Colic Shop is an online retail website specializing in selling baby colic relief products. When we started the business the market was full of single product websites. Brick and mortar stores generally did not sell colic remedies either. 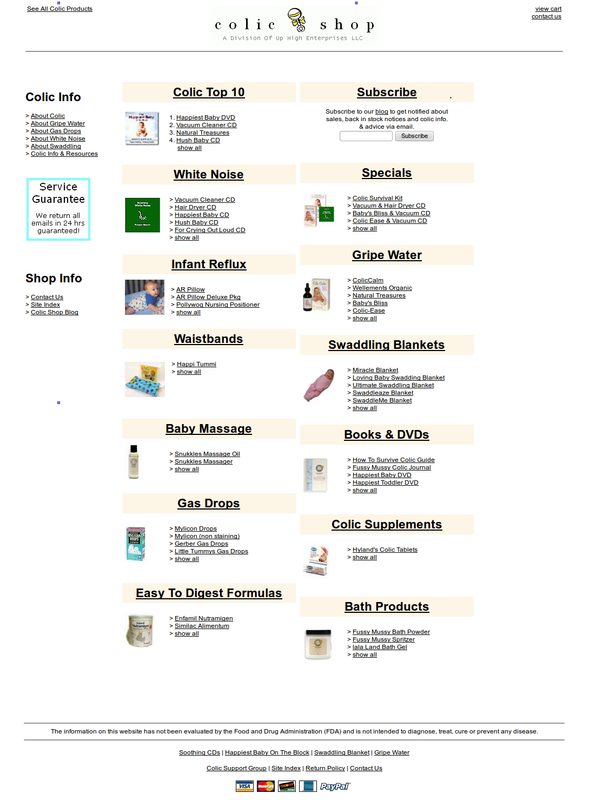 For a long time, our retail site was listed number one in Google and we sold over 100 different colic relief products all over the world. We also produced our own line of white noise CDs. As big box stores and drug stores started to carry the same products we carried, our sales slowed. The business helped thousands of parents and was profitable the entire time. In 2013 we decided to slowly sell off our remaining inventory and shut the business down.